A total of 435 University of Limerick students, the highest number to date, were honoured at the 8th annual President’s Volunteer Award (PVA) ceremony held on campus today (September 19). Limerick man and Self Help Africa Group CEO, Ray Jordan, addressed this year’s PVA ceremony. 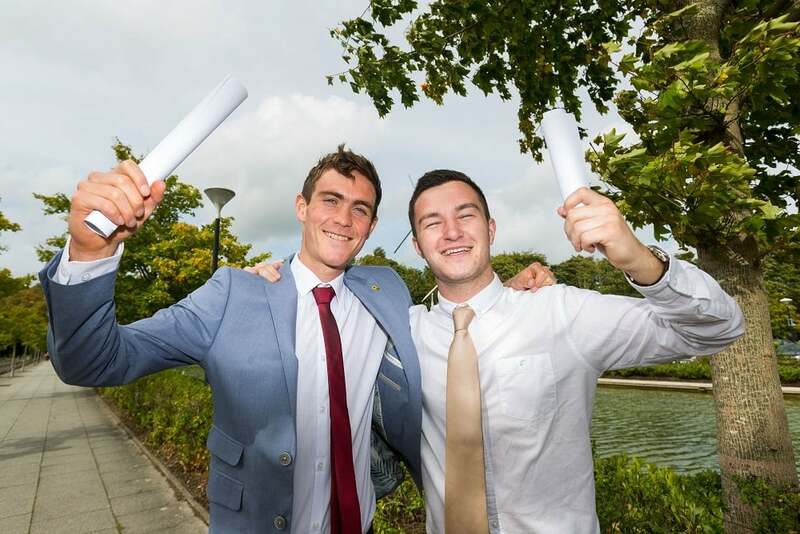 Since the programme started, UL students have dedicated more than 120,000 hours to volunteering in the city, the region and across the country. “The value of giving something back to society is a strong ethos at UL and we are a leader in encouraging and recognising the volunteer efforts of students. We are the only Higher Education Institution in the country to structure student volunteering so that the significant contribution students make to our communities is recognised and acknowledged on their transcripts. Increasing the voluntary activity of our students is a vital part of achieving ULs civic engagement goals. The selfless act of volunteering, concern for others and a sense of community is what makes the world a better place, and we will continue to foster this attitude at UL,” said Dr Des Fitzgerald, University of Limerick President. UL’s Community Liaison Officer, Gabriella Hanrahan, worked with colleagues in NUI Galway Alive programme, Dublin City University in the Community and Campus Engage in setting up the national online platform which enables community organisations on and off campuses across Ireland and beyond to engage directly with student volunteers. “Earlier this week the Irish Universities Association (IUA) launched Ireland's Future Talent, A Charter for Irish Universities. A key goal is to Expand Student Access and Increase Engagement with Communities and Industry. University of Limerick through the President's Volunteer Award programme which is now in its 9th year is well ahead in terms of promoting and supporting students to engage directly with communities through volunteering,” Ms Hanrahan said.